Hi friends! 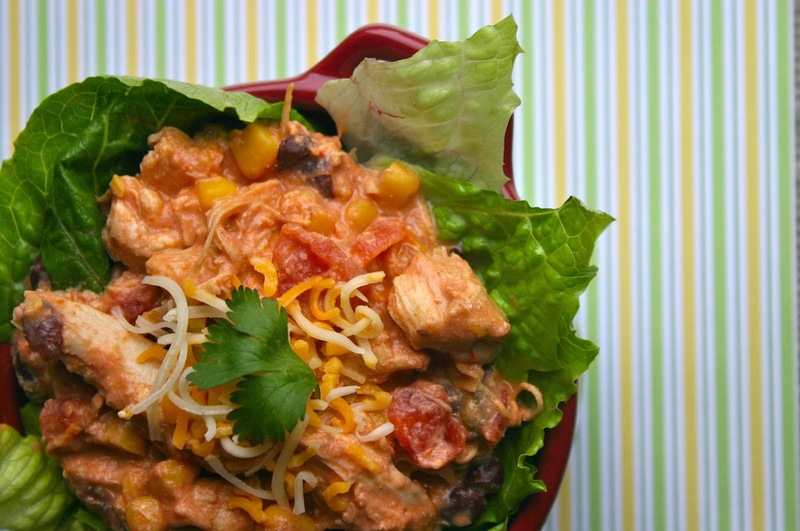 Here is another great crock pot recipe to add to your weekly rotation. It is awesomely delicious and, just what makes crock pot recipes so popular, it comes together in under 10 minutes. It will make your kids crazy happy to eat dinner and if you serve it at a party, I can guarantee it a huge hit. What I love most about it is how versatile it is. We love it tossed in a salad with rice for homemade burrito bowls, wrap the chicken in tortillas for a delicious taco, or when served alongside tortilla chips it makes a great dip for parties. 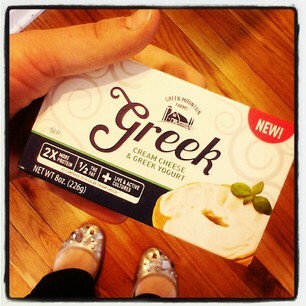 When I was making Creamy Salsa Chicken this last time I found an awesome product, Greek Cream Cheese. It is 1/2 the fat of regular cream cheese, 2x the protein and full of all those wonderful live active cultures. I gave it a whirl and loved it! I hope it wasn't a fluke finding it in the store because it was so great. Definitely right up our alley. I'm not being paid to promote this stuff- i just love it and wanted to share! Using the greek cream cheese even made this a healthy dish, total bonus. But everything in moderation is really the key, right?! On a side note, guess who is invited to be on television again! New Day Cleveland invited me to share my recipe for Tortellini Soup on January 22nd at 10:00am on channel Fox 8! What a cool way to start my new year :) Time to go dress shopping! Spray the inside of the slow cooker with nonstick cooking spray. Place chicken in the bottom of the slow cooker and top with the drained corn, black beans and chopped onions. Pour the salsa on top. Cook on HIGH for 4 hours or LOW for 6. One hour before it is finished cooking, carefully pull the chicken out of the slow cooker and shred. Put the chicken back into the slow cooker and gently stir to combine. Place the block of cream cheese on top of the mixture and replace the lid. After 30 minutes stir the cream cheese into the chicken mixture until fully combined. This recipe is so versatile! It is delicious served over rice, wrapped in a tortilla, topped onto a salad or even as a dip with chips. Enjoy! Had some wrapped in tortillas. Tasty! I can't wait to try this next week! One of my goals for 2013 is at least one new recipe a month and January is getting away from me. This looks like a great one to try! HI KIM!!! I am so excited to see you on here!! That is a completely do-able goal, and a fun one too! Please let me know what you think after you make it. And I am sorry~ but it was inevitable! That stuff is amazing, huh?! Try the other flavors too. They are all equally delish! Really enjoyed this! We made it tonight, hubby ate it in tortillas and I just ate mine plain with chips. Yum! Taking leftovers tomorrow with rice for lunch :) Thank you!